Posted on Октябрь 27, 2016 by Татьяна Н.
Итак, если вы уже познакомились в теории с простым будущем временем (Future Simple Tense), теперь вас ждет практика — упражнения на Future Simple Tense (для начинающих). Упражнение 1. Поставьте глаголы-действия в Future Simple. 1.I … (be) a doctor. I … (help) people. I … (live) in London. I … (not/ be) rich. But I … (not/ be) poor, too. I … (have) a family. We … (live) in a big house. We … (have) a dog and a cat. 2. And what do you think about your future? What … you … (be) ? Where … you … (live)? What … you… (have)? 3. … you … (be) happy? Упражнение 2. Поставьте глаголы-действия в Future Simple. 1. I (play) chess tomorrow. He (play) backgammon tomorrow. She (play) draughts tomorrow. 2. …You (come) to my place on Sunday? …You (read) this book next week? …She (cook) apple pie for dinner? 3. I (not see) him next day. The weather (not be) fine next month. We (not go) to England next year. 4. …You (go) to the park tomorrow? What …you (do) tomorrow? When … you (go) shopping? Упражнение 3. Перепишите текст в будущем времени. It is Saturday today. On Saturday and Sunday I get up late. I sleep till 12 o’clock. Because I don’t go to work (school) on weekends. I relax, watch TV, read books and go for a walk in the park. In the evening I go shopping and cook tasty dishes. I go to bed late because I watch films on the video. I enjoy my weekends a lot. And what about you? Do you enjoy your weekends? What do you usually do? ОБРАЗЕЦ. It is Saturday today. — It will be Saturday tomorrow. Не забудьте, что в современном английском языке в Future Simple употребляется вспомогательный глагол will. Глагол shall употребляется только в вопросительных предложениях с местоимениями I или we со значением ожидание распоряжения. Мне (нам) сделать это? — Shall I (we) do it? Что мне (нам) делать теперь? — What shall I (we) do? Мне помыть посуду? — Shall I wash the dishes? Нам помочь вам? – Shall we help you? Упражнение 4. Употребите глаголы в Future Simple. I ‘m tired. I (go) to bed. It’s late. I think I (take) a taxi. … I (answer) the question? We don’t know their address. What (we / do) ? Our test (not / take) long. I’m afraid they (not / wait) for us. Diana (come) to the party tomorrow ? You (arrive) in Paris tomorrow evening. The boy (remember) this day all his life. Perhaps they (buy) a new house this year. He (be) fourteen next year. I’m not sure I (find) Jim at the hotel. There (not/be) any wars in the world. …. there (be) television in future? Упражнение 5. Переведите предложения на английский язык. Я думаю, погода будет хорошая. Завтра я пойду в кино с друзьями. На следующей неделе я не буду работать. В следующем году я куплю машину. Через 10 лет я стану известным человеком. Я не забуду этот день. Он не будет читать эту книгу. 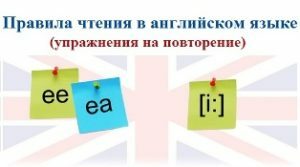 Что он будет делать на следующей неделе? Почему она не напишет ему письмо? Когда она поедет в Англию? This entry was posted in Future Simple Tense.